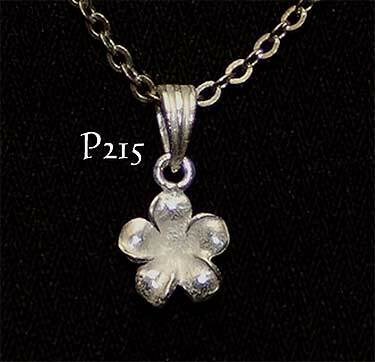 Sterling silver Hawaiian Plumeria (frangipani) charm pendant. High polish anti-tarnish coating. Measurements: 7mm diameter. 0.49 grams weight.